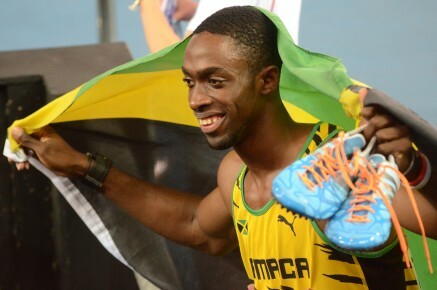 2nd September 2014 – Commonwealth Champion Kemar Bailey-Cole (JAM) won his third race in nine days at the IAAF World Challenge meeting in Zagreb. He was made to work hard for it though as he crossed the line with fellow Jamaican Asafa Powell and both were given the same time of 10.07 seconds. However, after examination of the photo-finish it was Kemar who was awarded the victory. He will be looking to continue his streak with upcoming races in Brussels and Newcastle. At the meeting in Rovereto, Italy, Chris Tomlinson (GBR) executed a consistent series of jumps in windy conditions that saw him with a best of 7.95m which secured him second spot. This followed his third place at the ISTAF meeting in Berlin on Sunday. Also competing in Berlin was Vincent Kibet (KEN) who ran his third personal best in as many races. On this occasion it was 3:33.58 in the 1500m which placed him third. Matthew Centrowitz (USA) was seventh in 3:34.78. In the womens 100m Schillonie Calvert (JAM) placed fourth in 11.32 seconds.